American rapper and songwriter Nicki Minaj has revealed that she often rewrites her song lyrics up to 10 times because she wants her songs to be perfect every time. Trinidadian-born Minaj—the most-charted female rapper in the history of the Billboard Hot 100—feels it is important for up-and-coming songwriters to realise that getting to the top of the charts isn’t an easy process. One of the biggest mistakes that inexperienced songwriters often make is to think their latest song is finished as soon as they’ve added the final chord or found a rhyme for the last line. The first draft could, of course, prove to be the one and the song may be ready for the demo studio. But in the majority of cases, ‘finishing’ a song is just the beginning. Every new song will probably need several rewrites before you have the final version. 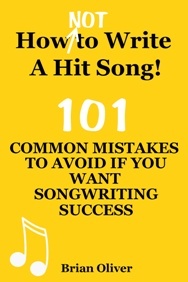 Some experienced writers have admitted that creating a hit song usually requires 10% writing and 90% rewriting. Pro writers often produce a first draft of a new song, put it down for a few days, and then listen to it again. That’s usually when they can tell if the song truly has potential. Listening to it from a fresh perspective enables them to spot the weaknesses and assess how the song can be improved. And strengthening a song often means having to change or leave out some of the favourite lyrics, rhymes, melodic phrases, chords (or even complete verses) that you started out with.